Italian scientist Sergio Canavero of the Turin Advanced Neuromodulation Group says his "Gemini" spinal fusion protocol could be used to extend the lives of patients suffering from progressive muscle and nerve diseases and terminal cancer. But most of his colleagues in the medical world are skeptical about the potential for this freaky surgery. Canavero first proposed the concept in 2013, and he has continued to research and develop the technique. He just published a follow-up paper in the journal Surgical Neurology International, which provides details on how he could potentially accomplish this surgery, keeping the patient's nerves intact. In June, Canavero will discuss the surgery at the annual conference of the American Academy of Neurological and Orthopedic Surgeons in Annapolis, Maryland. Both the recipient's head and the donor's body would need to be cooled sufficiently to allow more time for the cells to survive without an oxygen supply. The recipient's head would then be connected to the donor's body. The two ends of the spinal cords are then fused together by flushing the area with polyethylene glycol. Studies have shown that this chemical can help promote regrowth of cells that make up the spinal cord. The muscles and blood supply would then be joined and the patient kept in a coma for three to four weeks to prevent movements. Implanted electrodes would be used to stimulate the spinal cord in order to encourage the body to strengthen new nerve connections. He says fusion could also be achieved by injecting stem sells or olfactory ensheathing cells, which make up the linking of the nose and brain. Canavero seems to have thought about all the details. He says the type of surgical knife could make the difference between a head transplant that's a success or failure because there is a risk of damaging the spinal cords attached to both the body and head. "A specially fashioned diamond microtomic snare-blade is one option; a nanoknife made of a thin layer of silicon nitride with a nanometer sharp cutting edge is another alternative," Canavero writes in his paper. "Notably, the mechanical strength of silicon is superior to that of steel." Canavero also notes that the patient would need to take medications for life after the surgery to prevent their immune system from rejecting the donated parts. Patricia Scripko, a neurologist and bioethicist at the Salinas Valley Memorial Healthcare System in California, told the New Scientist that many in the medical community fear this surgery could eventually be used for the wrong reasons -- if it ever happens at all. 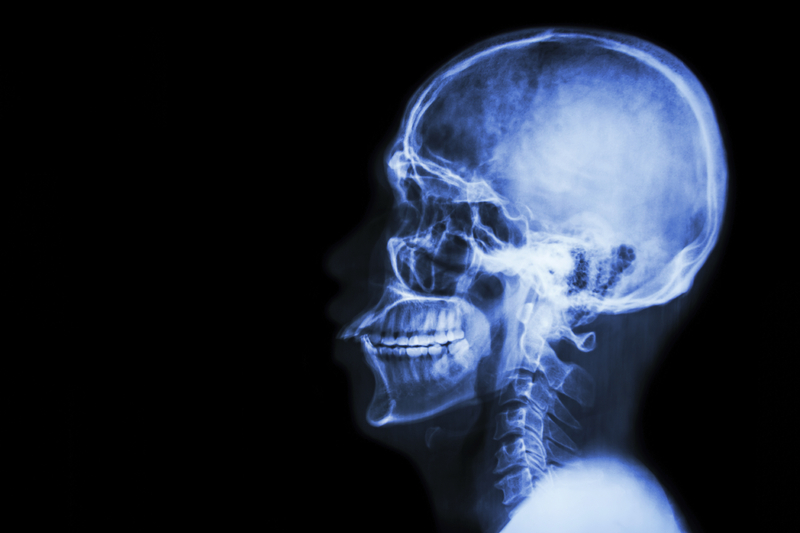 "If a head transplant were ever to take place, it would be very rare. It's not going to happen because someone says 'I'm getting older, I'm arthritic, maybe I should get a body that works better and looks better," she told the website. But believe it or not, the concept has been attempted on animals in the past, and results were successful, albeit very short-lived. In 1950s, a scientist in the Soviet Union, Vladimir Petrovich Demikhov, was the first to try out a version of head transplant surgery on dogs when he created a two-headed canine. Demikhov fused the head and hind legs of a puppy to a larger canine. Both dogs died a few days later from immune system rejection. A story published in Time magazine in 1955 described the scene as the researchers presented the animal at meeting of the Moscow Surgical Society: "On the platform close to the guests of honor stood a large white dog, wagging its tail. From one side of its neck protruded the head of a small brown puppy. As the surgeons watched, the puppy's head bit the nearest white ear. The white head snarled." Demikhov went on to do pioneering work on heart and lung transplants for humans. Demikhov's work on the dogs inspired a team at Case Western Reserve University in Cleveland, Ohio, to try out the experiment on rhesus monkeys. The scientists, led by Robert White, didn't fuse the spinal cords of the moneys so the monkey couldn't move its body, though he was able to breathe with machine assistance. The monkey lived for a little more than a week.